Detective Comics #999 Review – AiPT! 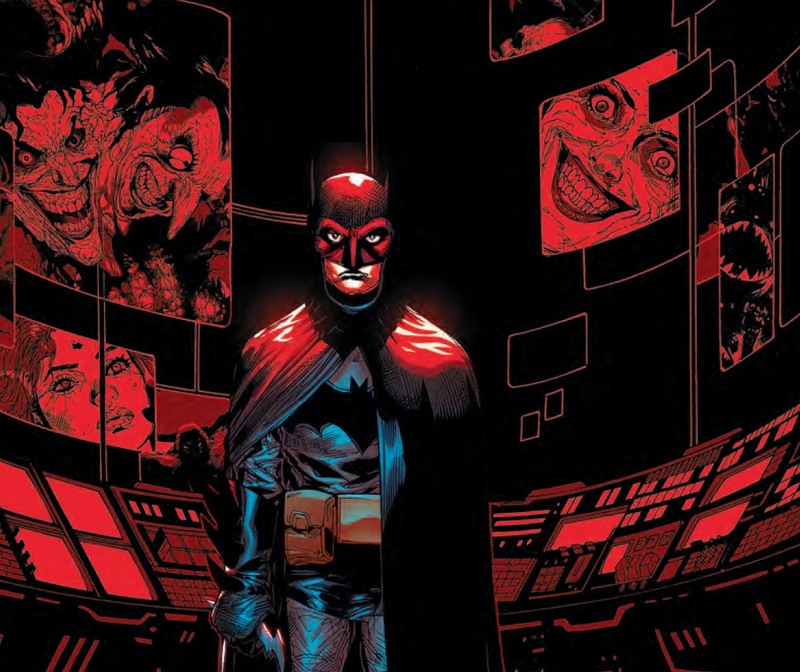 Another milestone is about to be reached, but before Detective Comics gets to 1,0000 issues, Peter J. Tomasi and Doug Mahnke’s trippy mystery comes to a close. Answers are to be had — who knows so much about Bruce Wayne they can attack even his closest confidants? Found out here! The truth behind the gauntlet Batman has been forced to run–a violent odyssey that endangered the lives of everyone who made him who he is–is revealed at last…and the mastermind working to unmake the Batman must be seen to be believed! Is there a goal here beyond destruction? Will Batman emerge stronger…or with a mortal wound at the exact moment that his most dangerous challenge yet is on the horizon in next month’s DETECTIVE COMICS #1000? If the cliffhanger didn’t have you go, “What the…” you probably already know the twist in this story. I for one had no idea, but damn is it a head spinner. This issue drops the big answer on readers right from the start and I can say it’s a clever idea albeit somewhat common for a Batman story. The character who plans for everything has in fact been ready for what this story has thrown at him. Tomasi puts a twist on that, so that Bruce can challenge himself even further too. Much of this issue is Batman fighting himself with a symbolic ending that ties into his obsession with stopping crime before it starts. Mahnke closes out the issue with one of his cleaner stories in this arc with the help of four inkers and colorist David Baron. There’s some high-tech stuff in the closing pages that look great (the purple tubing sold me) and there are two excellent double page layouts that show great depth of field and detail. The closing double page layout is a visual reminder of the heavy burden Bruce puts on himself to fight crime. The kid is mad. Mad I tell you! I don’t want to spoil it, but if you dislike an ending with a heavy twist that almost negates all that happened before, stay clear of this issue. The occasional “it was all a dream” ending can be fun, but a lot was made of who could be attacking Batman in this arc. With so much focus on who it was, the actual answer can be eye-rollingly bad. The hero trope of fighting oneself is also prevalent in this issue, which further casts this story arc in a place of familiarity that’s unfortunate. A good issue since it finally puts to close the mystery of who is messing with Batman. Sadly though, I wanted more. The fact that this issue reveals the twist up front is somewhat troublesome too, since much of this issue you’ll be waiting for the fight to stop and the meaning to emerge. That meaning is something we’ve seen done before with Batman, granted not in this way.